The 47th annual Balloon Fiesta kicked off earlier this month and has a new obstacle to contend with. The flagship event held in Albuquerque, NM has had logistical problems in the past, but a new problem has arisen in the form of drone enthusiasts looking for the perfect shot. 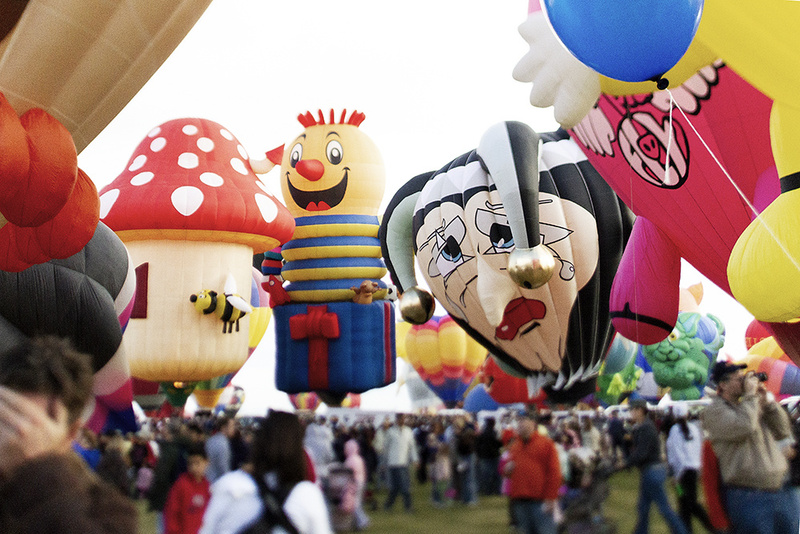 The Albuquerque International Balloon Fiesta is a popular event held every year that draws a crowd of around 100,000 people who want to see the spectacle of hundreds of balloons in the air at once. As the years pass, Balloon Fiesta has grown into an event that hosts over 500 hot air balloons and massive crowds. In the past, Balloon Fiesta has seen its share of dangers that have resulted in tragedy. For example, the 1982 explosion of a giant 12-story hot air balloon called the El Globo Grande that killed four people and injured five, or the numerous instances of hot air balloons colliding with power lines throughout the years. Though hot air ballooning is reportedly a very safe form of aviation, unique dangers still exist. 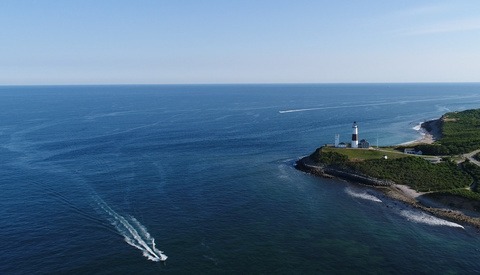 As technology advances, one of those dangers comes in the form of hobbyist drone pilots attempting to get the perfect aerial photo. This year, to fight the increasing risk of a drone versus hot air balloon accident, officials for the Albuquerque Balloon Fiesta hired security agency Aerial Armor to monitor drone activity around Balloon Fiesta Park. According to its website, the Phoenix-based company specializes in “detecting and deterring drone-related threats for all scenarios.” The company uses a DJI AeroScope, which utilizes the existing communication link of DJI drones to gather data and monitor the flight path of drones within a roughly 10-mile radius. For the event this year, the FAA implemented a Temporary Flight Restriction (or TFR) within four miles of the Fiesta Park. Throughout the week (beginning on October 6), Aerial Armor has detected 458 drones (as of this writing), almost half of which have violated the airspace and entered into the TFR, and that number is still growing. As photographers, we’re always looking for the better shot. Our passion drives us to find better angles and new perspectives. 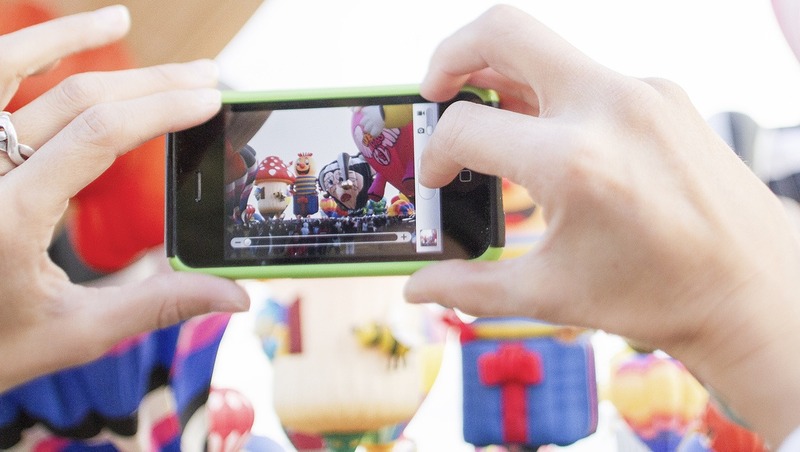 The Balloon Fiesta is one of the most photographed events in the world, so it seems fitting that photographers want to find new ways to photograph it. This year’s Fiesta shows that there is a real risk involved with UAVs and their pilots' desire to get the best shot. The International Balloon Fiesta hosts over 500 hot air balloons each year, and the Fiesta itself includes many opportunities for great photos and hosts an official photo contest each year. It's easy to understand the allure of wanting a unique aerial shot of the event. Of the 458 drones detected by Aerial Armor this year, only one has permission to be flying over the crowds at Balloon Fiesta Park. According to DroneDJ, only Jesse Sansom, owner of Colibri Media House, is authorized to operate a drone over the Balloon Fiesta. He’s flying the DJI Matrice 600, equipped with a high-end Canon camera to get professional shots of the Fiesta. The fear is that other drone enthusiasts will see Sansom’s drone and think it’s ok to fly their own drone over the festival grounds. However, Sansom’s drone won’t be flying over any crowds or near any hot air balloons, though onlookers may not know that. Aerial Armor said it would be reporting all of its findings, as well as the flight paths, serial numbers, and GPS data of all the drones that violate the TFR throughout the week. The FAA has not made a statement whether it will pursue charges with the information provided. If you find yourself in Albuquerque this week for the 47th annual International Balloon Fiesta, get some great photos, but keep your drone home. No picture is worth risking the lives of others and a hefty fine or prison time for violating the rules set forth by the FAA. Danette is a Las Vegas-based wedding and elopement photographer who's photographed over 1,500 weddings and elopements in 14 different states. She has a passion for teaching business and helping other creative entrepreneurs succeed. She also loves cats, Harry Potter, and the occasional video game. It's always the fools who ruin everything.....self entitlement. "No picture is worth risking the lives of others and a hefty fine or prison time for violating the rules set forth by the FAA." They obviously don't think so. Or, they don't think. Either way, they shouldn't own drones. 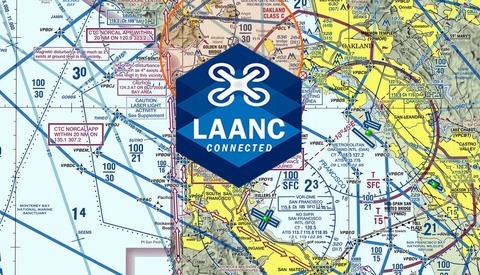 i'm a firm supporter of mandatory FAA ground school and flight certification, at minimum, for all potential drone operators prior to purchase and operation of any drone that weighs more than 1lb and/or is capable of flying higher than 500ft AGL. the "idiots are few and far between in the drone community" theory is repeatedly debunked during events like this. yes, there are many safe and sensible drone operators out there, but the fact is that you're outnumbered and the "responsible adult to retard ratio" keeps growing worse every day. 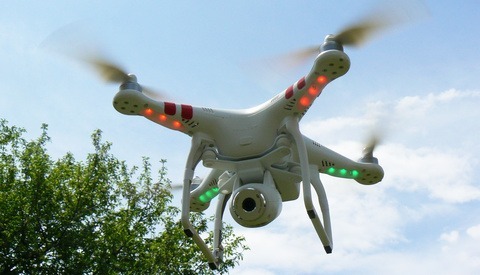 To draw the analogy to cars: Make licence plates and insurance mandatory for drones. The more laws you break and the more Lamborghinis your drone choses as appropriate landing site, the more expensive your insurance rates willl become. Also, the occasional visit from your friendly FAA neighbor won't help your wallet grow a fat layer, either. And to all those who insist on personal freedom, a word of wisdom from Rosa Luxemburg: "Your space of personal freedom ends where it invades that of other people." This is way we can't have nice things.. I'm bothered by the comment "The FAA has not made a statement whether it will pursue charges with the information provided." The FAA should boldly and very publicly (as well as truthfully) declare that they will pursue enforcement of the TFR and 107.39 waiver laws concerning the activities of the violators in this case. I think active and visible enforcement would go a long way in curbing the "ignorance" of the bad-egg operators that make the entire drone-flying community suffer increased scrutiny and additional legislation. I trust that almost all of these idiots also drive a car; but do not routinely drive on the opposing lane into traffic, or blow all traffic signals and stop signs when doing so. I also suspect the reason why is not because they have come to understand the risks involved, but a fear of the flashing light-bar in the rear-view mirror. The other interesting question would be whether this one approved operator, who claims to be the "exclusive drone operator for this event", did he get it exclusively because he was the only one who applied? Or did he get this exclusively based on some personal connections etc.? Meaning did anyone else even have even the chance to get a permit/exception? I think that person is working for the official appointed media agency to cover the event. No, that's not an interesting question. That's entitled nonsense. It's up to the organisers of the event to decide who they want to trust to fly a drone in their airspace. The balloonist's have delegated their safety to those people and they are happy with that. "Did anyone else even have even the chance to get a permit/exception?" is not a relevant question. You don't deserve a chance, you're not an object of consideration, the responsibility of the organisers is not to you. And your life, unlike the people flying, is not at stake. True. At the same time I think there are two things mixed here. One is - if there is a TFR and a government body (FAA) imposes a NFZ, then anyone must have the same chance to get an exception - or nobody will. The other is that the private(?) organizer/land owner of course can do whatever he wants at his discretion based on whatever criteria he wants to use. And if they only trust that guy, that is absolutely fine. This isn't about the airspace as territory, it's about the SAFETY of actual human beings - whose presence is the only reason the dronidiots want to fly their toys anyway. If the FAA choose to cooperate with the body chosen by those human beings and delegate the choice of drone operator to it, that's fine. The right of the human beings at risk to control their own safety takes precedence. Even when that involves factors like a drone operator being known to event organisers - ***who are the chosen proxies for the people whose lives are at risk*** - as someone they've worked with before and who operates responsibly and communicates well. That might not be "fair" to competitors, but they don't really have a stake - they've not invested in the event financially and there lives aren't at stake. "Fairness" is primarily a social contract between stake holders; the drone owners have a desire, but they don't have a stake in the event. What you are asking is like plumbers saying that you don't have the right to choose your own plumber - that you have to be compelled to select randomly between theoretically qualified plumbers instead of using your judgement and hiring the guy who did a good job last time. Only worse, because lives are at stake. No doubt. Safety is important. And moreover I always cringe a little when I see a drone shot of a hot air balloon. I'd never fly even remotely close to these. But your example with the plumber is not fully accurate. The event organizer can of course chose whoever they want. But getting the needed TFR exception (which I think is needed) should be theoretically possible for anyone. It does not mean that safety has to be compromised. Just put the requirements to get it high enough. This decision should not be made, because the guys knows someone. But because the guy fulfills certain requirements. At least in Germany government bodies have to be neutral and simply apply the same rules to everyone. So they have to be fair and give everyone and every business the same chance. Otherwise it will open the doors for corruption. To stick with your example, no one can make you chose a particular lawyer. You can chose whomever you want. Yet anyone has the chance to become one (given he fulfills the one or the other requirement).